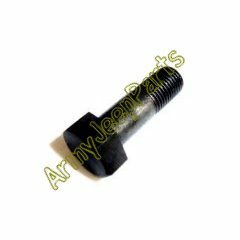 Flywheel, mounting bolt, special. This bolt is a very specific length and shoulder design. 4 are need per flywheel and fit all models of 4 cylinder jeeps. Not M151's.